Every building trembled and shook like a dog in the rain. Window glass shattered, plaster walls cracked, and bricks rained down. The strongest earthquake ever to strike the east coast of the United States hit Savannah on a Tuesday night 125 years ago: August 31, 1886. The statue of Liberty on the Pulaski Monument in Monterey Square twisted six inches on its pedestal. A wall at Bay and Drayton Streets crashed through the roof of an adjoining building. A crack opened from the ground to the roof on the east wall of Christ Church. A twenty-foot-long fissure ripped through Bay Street. The wall of a one-story brick building on Broughton collapsed and the roof crashed in; a capstone from the building next door crashed through a skylight and landed by the cashier's desk. 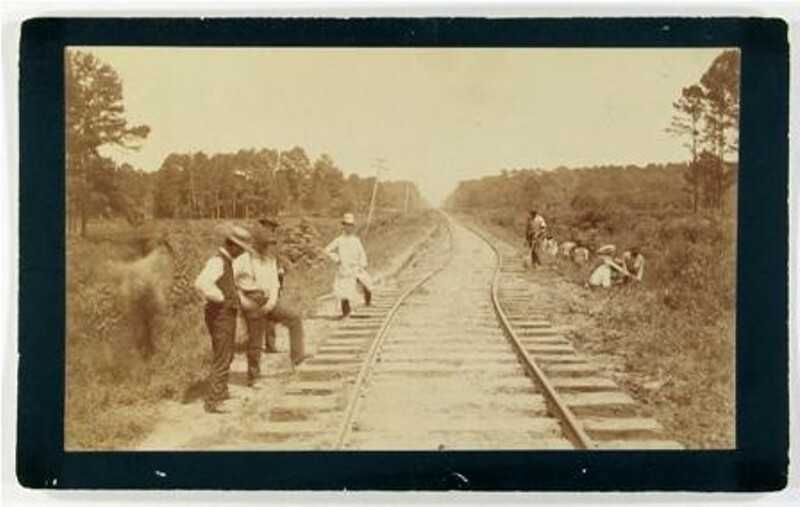 The tracks of the Charleston and Savannah Railway from Yemassee to Charleston bent into S shapes; railway officials blamed volcanic eruptions. Terrified people rushed outside, seeking open spaces. One woman leaped from a second-story window with her child in her arms. They both survived, but Delia Supplee was not so lucky. She too jumped out a window. Less than a week later she died from her injuries. The Savannah Morning News reported that at least a dozen people went insane and had to be sent to lunatic asylums, including "the wives and daughters of prominent citizens." A drugstore clerk started walking the night of the earthquake and didn't stop until he reached a town 50 miles away. He sent a postcard to his parents saying he could not return. Lucy Foster, a 50-year-old widow in good health, was described as having been "frightened to death." On the other hand, sometimes the shocks seemed to heal people. Reports spread that 20-year-old Florence (Mamie) Martus of Savannah, the "Waving Girl," who had been mute since she suffered a bout of meningitis three years before, abruptly started talking. No one got much sleep that night. The Morning News claimed that at least half the people in town stayed outside all night. At 4 a.m. another major tremor shook the city. Shocks continued until morning. The three epicenters of this major destructive quake, now estimated to have been about a 7.3 magnitude, were located just outside of Charleston, one hundred miles north. But on the night of August 31, people in Savannah thought they must be experiencing The Great Savannah Earthquake. In Charleston scores of people were killed and almost every building in the city, especially the most impressive masonry edifices, needed repairs. One Savannah couple, Mr. and Mrs. Charles Chapman, was actually visiting Charleston when the shock struck. Mrs. Chapman was pregnant, and she went into labor the night of the quake. Her baby was delivered in a city park crowded with other refugees. The couple named their "earthquake baby" Charleston. The owner of a new stable on King Street put down mattresses in the stalls for 150 people, including the Chapman family. Charleston Chapman became one of the city's major attractions when trains began to arrive with "earthquake tourists." A visitor from Delaware compared the baby to the infant Jesus in his manger. The family stayed in the stable for at least ten days. Tremors continued for weeks, keeping people awake and on edge. On Oglethorpe Avenue -- then called South Broad Street -- people camped out in a covered wagon, with a team of mules hitched up and ready to move them to safety. Merchants slept in their trucks, covered with tarps. When a man jiggled his foot in church one day, a lady sitting in front of him leaped to her feet, ready to race for the door. A young boy who was disappointed that he couldn't sleep out in a square like other earthquake refugees set up his own tent inside his house. His parents wanted to make the experience feel more real, so they rattled some chairs and shouted, "Earthquake! Earthquake!" The boy was at the stairway before he could be stopped, and proclaimed that "he had had enough of tent life." Soon Savannah residents realized that Charleston was the center of destruction. Less than a week after the quake two trains, one of eight coaches and the other of six, took people up to see the ruined city. Savannahians opened their pocketbooks, too, contributing more than four times as much for earthquake relief as Atlanta did. Eventually they even learned to find humor-and profits-in the continuing aftershocks. One newspaper ad proclaimed, "‘Did you feel that?' That was a sudden drop in prices at B. H. Levy & Bro. 's, 161 Congress Street." Susan Millar Williams and Stephen G. Hoffius are the authors of Upheaval in Charleston: Earthquake and Murder on the Eve of Jim Crow (University of Georgia Press, 2011). They will present a lecture and book signing at the Skidaway Island Presbyterian Church, sponsored by The Learning Center of Senior Citizens Inc., on Monday, October 17. For information or tickets, contact Roger Smith, rsmith@seniorcitizes-inc.org; (912) 236-0363, extension 145.